Alan Harper is the Chairman at Azuri Technologies, Ltd and has been the Non-Executive Director at MTN since 2017. He is a leader in the mobile network industry for both the UK and Africa. 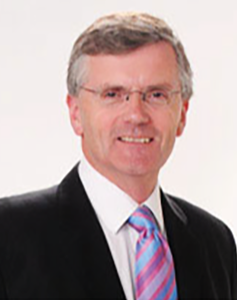 Alan co-founded Eaton Towers in 2008 and held the position of CEO until early 2015. Eaton Towers, a leading telecom tower company, has established over 5,000 towers across seven African countries, and serves major mobile operators that include Airtel, MTN, Orange, Tigo, Vodacom and Vodafone. Prior to his tenure at Eaton Towers, Alan spent 12 years at Vodafone Group PLC in various roles that included Managing Director of Vodafone Ltd and as the Group Strategy Director, focusing on growth in emerging markets.